A couple of weeks ago, we went to Hobby Lobby looking for Halloween decorations for the house. They had a little bit of stuff, maybe an aisle and a half. They had over 3 aisles featuring Fall decorations. And of course, 6-7 aisles already packed for Christmas. I have a post in the works to showcase what all we chose for Halloween this year since our front door area actually allows for decoration. Look for it at the beginning of October. Today, I just wanted to give an interwebz high five to (I'm guessing) an employee at my local Hobby Lobby who must have thought "This display has potential". The other side of this display was dedicated to Superman and Batman. I couldn't get a more head-on photo due to a display being in my way. It's harder to make out in the pic, but that does say 'YOU' right above the little Star Wars sign. My husband and I were quite pleased with this display since we are both fans of the movies. (More the ones we saw as kids, not the newer ones featuring Mannequin Skywalker. 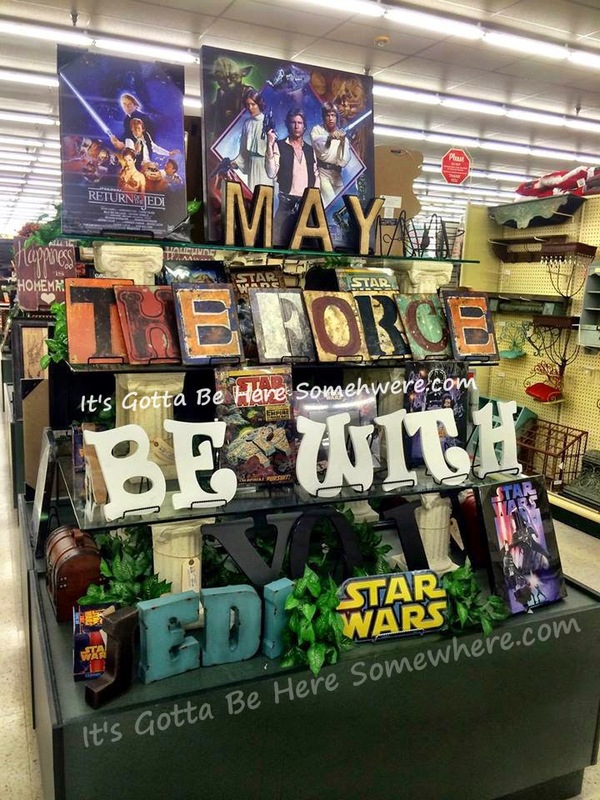 Are you a Hobby Lobby fan? Not long before we moved down south to Tennessee, Peanut lost a tooth. (She's 8 so she's used to it by now.) But instead of the usual 'leave the tooth and you'll get money' deal, we found out that sometimes a certain tooth can mean a great deal. Peanut mentioned to us that she wanted to keep this particular tooth. (Don't ask me why, I haven't got a clue.) We explained that in order for the Tooth Fairy to leave money, she had to have a tooth to take with her... that that was just how it worked. You don't usually get something for nothing, even with magical beings. She thought about it for a day and then said she was going to write the Tooth Fairy a letter before she set her tooth out for collection. 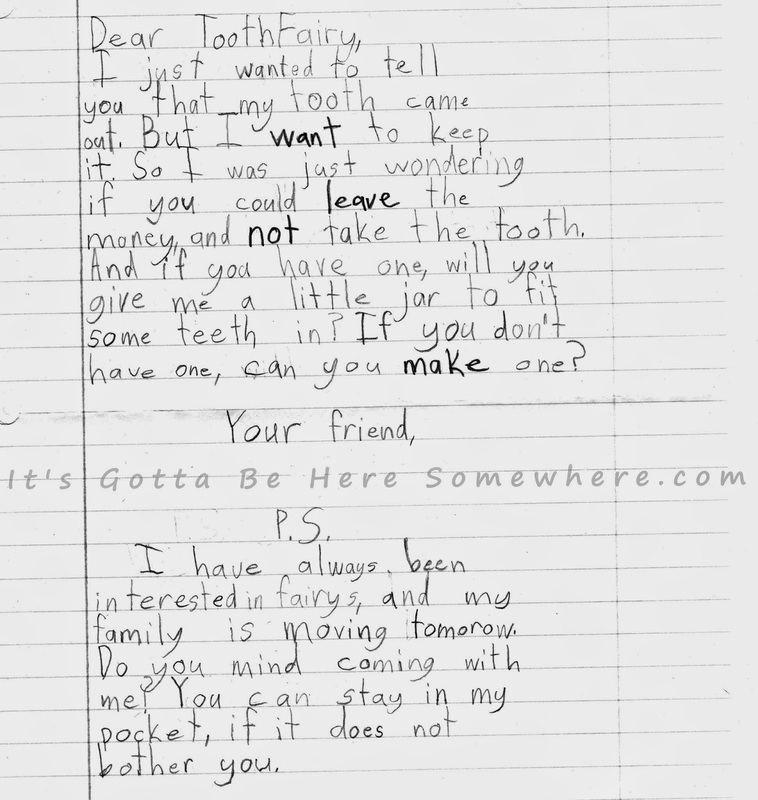 We looked at each other and thought, fine...write a letter but that tooth will be joining the rest of your teeth found in that little plastic white tooth from the dentist. You'll get it back once you realize that Momma is the Tooth Fairy and not before. I swear she spent half an hour on the letter prompting me to ask her if she was writing a book. When she was done, she handed it to us and wandered off to her room, surely dreaming about all of the quality time she'd be spending with her tooth should the Tooth Fairy decide to play ball. I swear, the last part made me tear up a little. Could she be any sweeter? "You can ride in my pocket, if it does not bother you." Our little Peanut making sure that she'd be able to take the Tooth Fairy with her during this HUGE change in her life. Of course, I wrote her back, as the Tooth Fairy of course. I even used a pretty nifty swirly sort of handwriting in that note. I told her that normally, I (the Tooth Fairy) didn't allow children to keep their teeth but since she asked so sweetly, I'd make an exception this once time. I told her that I would take the tooth for now and find a jar small enough to hold her precious white treasure. And I told her that although I couldn't ride with her to her new home 1000 miles away (I have children all over the world that need cash money for teeth... full time job, you know), I appreciated the offer. I also told her that no matter where she moved, I would always be with her. So, we moved in mid May. She lost yet another tooth. The Tooth Fairy visited in the night and left some money for the newest tooth. And I promptly freaked out, having actually freaking forgotten about that damn tooth jar. I kept thinking, where in the hell was I going to find a jar that small and looked cute... like something the Tooth Fairy would make. The one site that seems to cater to things like this. The site where I sell my own wares. 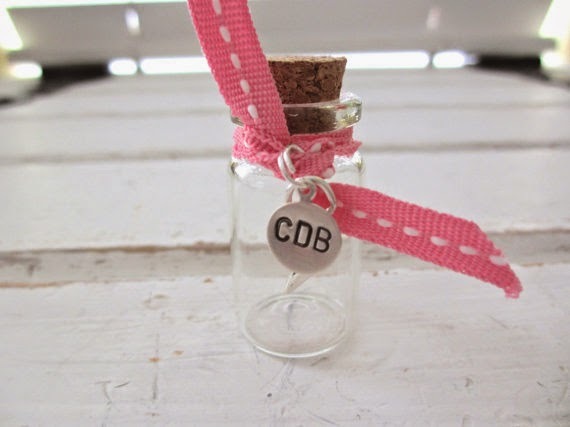 I found this adorable little bottle sold by elephanttales. 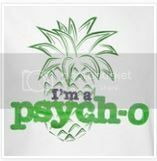 I ordered this with a bright pink ribbon and Peanut's initials. I figure she can keep her special little tooth in it on her bookcase. When she's older and finds out the truth about Momma/the Tooth Fairy, we can transfer her remaining teeth from that little plastic tooth to this bottle. Yeah, the kid got to me. She's a sweet girl with a big heart and she's only mentioned the tooth and jar once since the letter. That's the sort of patience I applaud in an 8 year old. 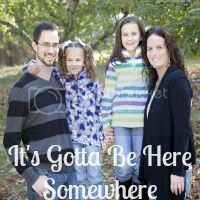 Have you ever found yourself doing something weird/crazy for your child on request? Galaxy and Laser manicures... so spacey. Back when I did my very first Galaxy mani, Galxy manis weren't that common. I remember seeing a tutorial around that time and thought I'd give it a try. Now it's almost impossible to go on to Pinterest and NOT run across a tutorial or picture featuring Galaxy nails. The great thing is that so many ladies have come up with so many color combos when creating Galaxy nails and it's fun to see them. Other colors- Sally Blue It, OPI Ogre the Top Blue, and China Glaze White on White. I remember using a purple but I don't remember which one. I topped off the mani with China Glaze Fairy Dust. The next mani was me playing around. I am not great at free-handing lines on my nails. (Not back then and not now.) But my DRK-A plate had lines... or lasers. To me they looked like lasers once I put it over the blue. For the base, I used Orly Lunar Eclipse. It's beautiful on its own... one of my favorites. For the lasers, I used Color Club Lumin-icecent. It looks a lot more silver on top of the blue. I'll have one more post of old manicures this week ready tomorrow morning and then I'll be playing tour guide for the weekend when my mother-in-law comes to visit. Seems strange to be posting St. Patrick's Day manis when Halloween is flying quickly in our direction but I don't see any reason to wait months, do you? 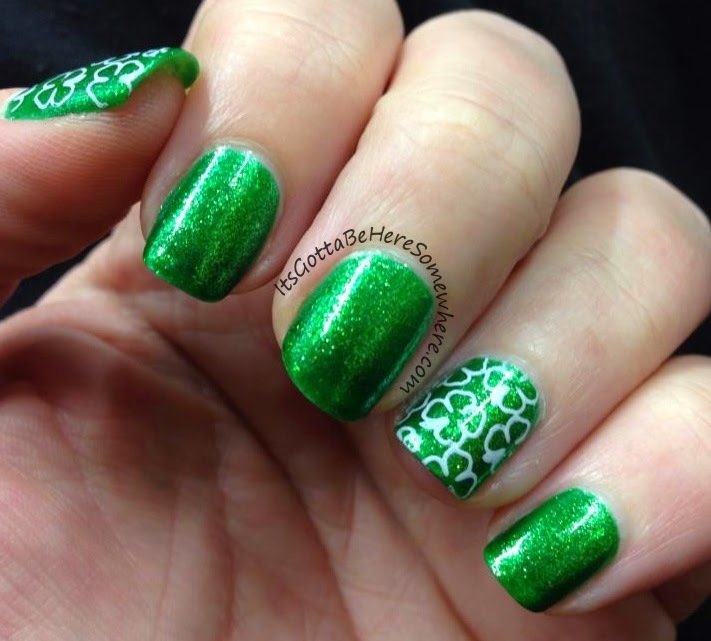 Plus, this is comical to me since the first St. Patrick's Day mani is from closer to when I first started trying my hand at nail art and the second is from a year later when I realized stamping your nails can bring more life with less effort. I hate to say it, but other than using China Glaze White on White for the base, I have no idea which other polishes I used for this. Greens. That's all I recall. I think I had just gotten my dotting tools and I remember holding my breath a lot when dotting. All in all, I don't hate the manicure. But the photo could be a lot better. For this mani, I actually DO know what I used! The green is China Glaze Running in Circles and the white is Konad white. The shamrock stamp was from MJ1. I loved this mani because Running in Circles is so shiny. It's fun in all sorts of lights. Tomorrow, I'll have a few more manicures from the past to show you so come on back and check them out. I used to make nail polish. (I might make it again in the future, who knows?) 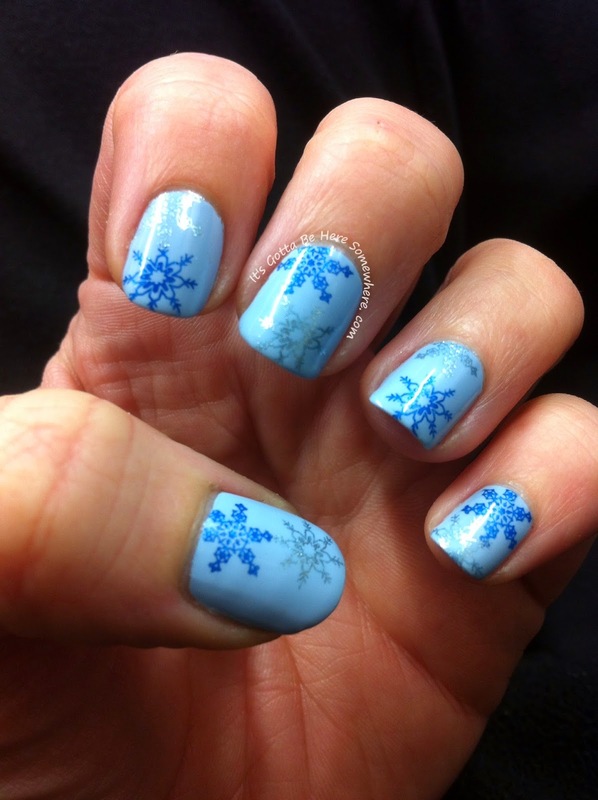 And with that came a blog announcing new shades and photos of my manicures and nail art. Since I don't use that blog anymore, I decided to bring the older mani pics over here. Can I just mention before the pics... I seem to have improved in the last 2 years. Hahaha. The older pics have less than stellar lighting, I could never get my fingers in a row, and I hope my art has improved. I have to say... the marbling was good. Lighting and background could have been better. This one was tons of fun to look at in the sun. Fairly certain I used a purple holo from Layla. I'll have a few more posts this week with a few more pics of older manicures.